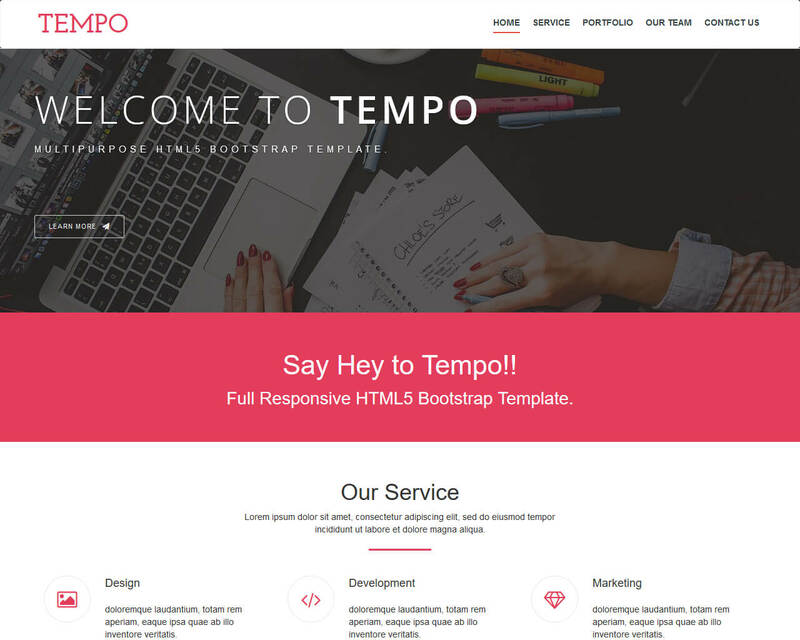 The Tempo Bootstrap them is fully responsive and is very appealing in all resolutions and different devices. This template has Font Awesome feature with the lovely color scheme and easy to customize the layout. Tempo HTML5 is packed with incredible features such as Google fonts, bootstrap framework, image slider, and a lot more. Check out the different Tempo feature, and you will be impressed with the result of your next project. It is a recommended template for startups to promote services or products and to attract investors and customers. The template is complete to help you kickstart your business website. Your goals will be easily achieved with this Bootstrap theme. It includes SASS source files. Another impressive feature is the theme support which will help you deal with theme bugs as well as other issues. It has a responsive layout to make it appealing in any kind of devices. Other features include email template header PSD file, 10 color schemes, customizable Google map.